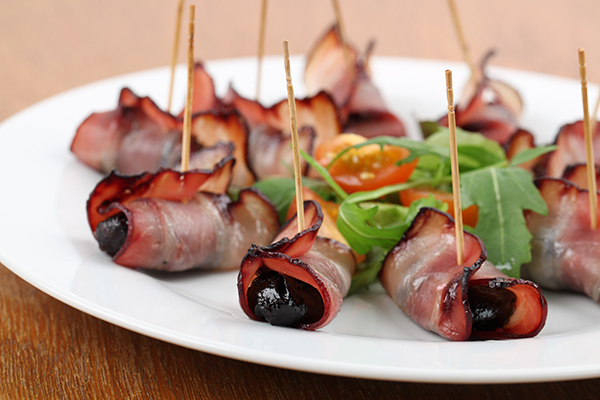 1) Cut the bacon slices in half and use them to wrap the dates and almonds. 2) If the bacon is too short, it can also be split lengthwise. 3) Heat some oil in a frying pan and fry the wrapped fruit until the bacon is golden brown and crispy. 4) After cooking, let the oil drain on kitchen paper.